How Do Concrete Floor Coatings and Polish Treatments Compare? Industrial concrete floors are subject to all sorts of stresses, such as impacts and chemical spills which can cause them to wear down over time. Without any sort of additional protection, a bare concrete floor will not be able to stand up to such stresses for very long. Most business owners prefer to either have their industrial floor polished or coated with protective epoxy or polyurethane. The experienced contractors at Duron Atlantic Ltd, who offer services such as sandblasting, caulking & sealants, masonry repair, and bridge reconstruction in the Atlantic region, also provides coating treatments and concrete polish treatments in Atlantic Canada. Protective concrete floor coatings consist of either an epoxy or polyurethane resin and a hardener. When the two components are mixed, they form a strong chemical bond which also bonds the coating to the concrete substrate. Coatings come in a variety of styles and colors. One of the most attractive benefits of a concrete floor coating is that it makes the floor resistant to both water and chemical spills. Businesses that deal with large quantities of chemicals often invest in protective floor coatings. This resistance to spills makes the floor more durable and long-lasting. Coated concrete floors are also smooth and easy to clean. Concrete floor coatings increase worker safety by being resistant to heat and fire and by making it difficult for workers to slip. 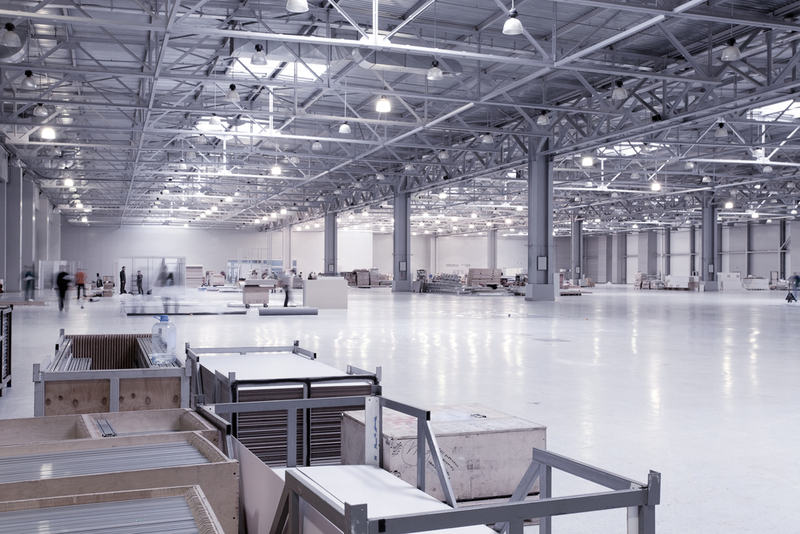 Epoxy and polyurethane coatings are also reflective, thereby increasing worker visibility and reducing lighting needs for spaces which have a good source of natural light. Treatments to polish concrete for Dartmouth businesses are carried out with heavy-duty grinding tools. The floor is first treated with a densifying solution, after which the surface is grinded down to a smooth shine. Polished concrete floors are incredibly durable and perfect for industrial spaces where hard impacts could quickly wear down other flooring systems. Polished concrete stands up against chips and dents and is therefore simple and easy to maintain. Polish treatment will also make your floor easy to clean and, like floor coatings, will increase light reflectivity and reduce your lightning needs. Another major reason why many Atlantic businesses choose to polish their concrete floors is to reduce the environmental impact of their operations. Polishing treatments make use of the materials that are already available and they don’t create any additional waste products. Whether you think your industrial concrete floor could benefit more from a polish or a coating, the concrete protection and concrete repair contractors at Halifax’s Duron Atlantic can make sure the job is done right. Our multi-trade, concrete and waterproofing contractors can help you figure out which option is best for you. We can also provide you with concrete repair, masonry repair, caulking & sealants, and sandblasting in the Halifax area. Don’t hesitate to contact Duron Atlantic and let us know how we can help your business run more efficiently.